Flowify is a Shopify accounting application that integrates all sales, refunds, fees, bank deposits and more seamlessly into QuickBooks. With Flowify we’ll take care of the accounting so you can focus on growing your Shopify business. Flowify users tell us “Shopify accounting takes 80% less time than it used to” and “Flowify has saved me at least 20 hours each month”. Overnight downloads keep you up-to-date so you are ready to tackle tomorrow’s orders. Sales are reconciled to your deposits so you are never over or understating revenue. 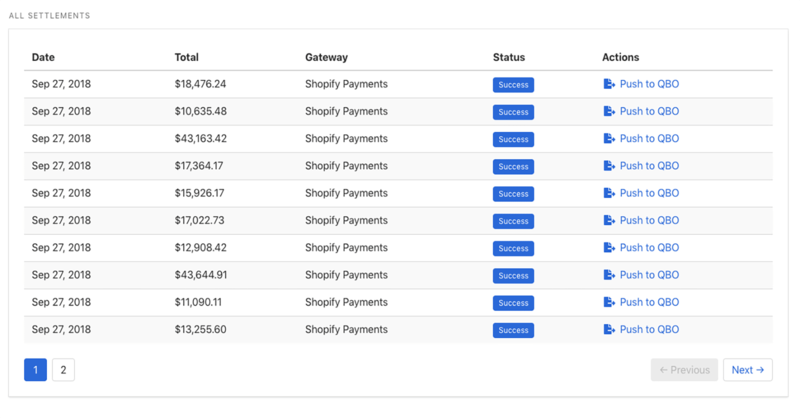 Flowify will automatically fetch your latest Shopify settlement transactions and post a summary of these transactions to your accounting system. Reconcile Shopify settlements down to the cent every time you get paid. Choose any of the following plans to get started with. You can change your plan at any time from your account. 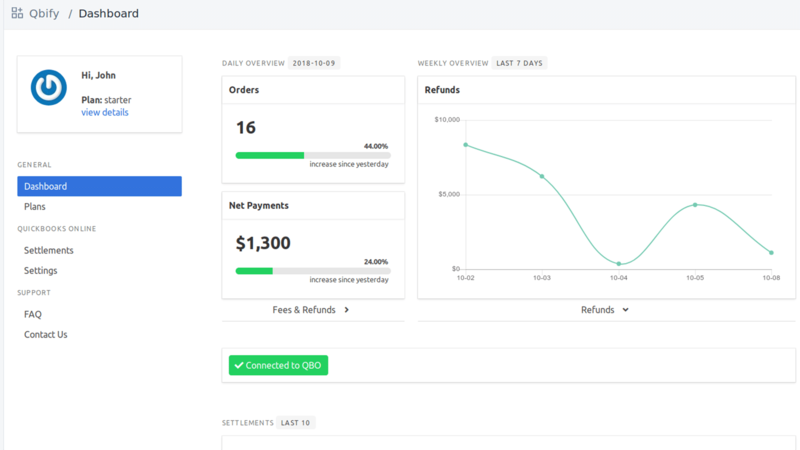 When Shopify creates a new settlement file, Flowify automatically fetches it, crunches the data and generates a summary of revenue, refunds, expenses and other transactions. When PayPal processes new transactions, Flowify automatically fetches it, crunches the data and generates a summary of revenue, refunds, expenses and other transactions. Flowify generates journal entries from each settlement and posts them to your accounting system based on the ledger accounts you have selected, either automatically or on your command. Flowify is a fantastic solution to reduce the admin and pain with Shopify data. The support is first class and Zac was very quick to address queries that we had when getting the first batch of data completed. Flowify’s capability is unique in that it maps the Shopify Settlement statements and matches exactly to the money deposited into the ecommerce businesses bank account. Truly a huge time saver! Seriously. We’re experienced accountants and bookkeepers that are experts at both QuickBooks and Shopify.